With Havilands, moving home is exciting. The houses and apartments in Winchmore Hill N21 and adjacent areas are some of the most sought-after in north London and it’s our job to seamlessly facilitate the way property is bought and sold. We are experienced, approachable and professional and everything we do is done with care, best practice and for our clients. It’s not rocket science, it’s habit. We do what we do and we do it well. Welcome to Havilands. 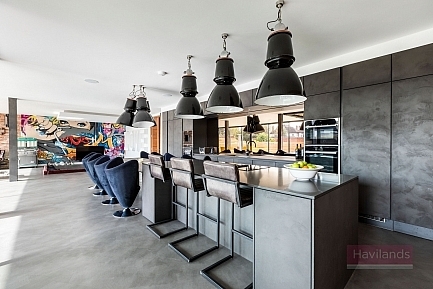 This substantial 6 bed, 6 bath property situated on N21’s premier road – Broad Walk – offers 4,400 square feet (408sqm) of cutting edge interior design. 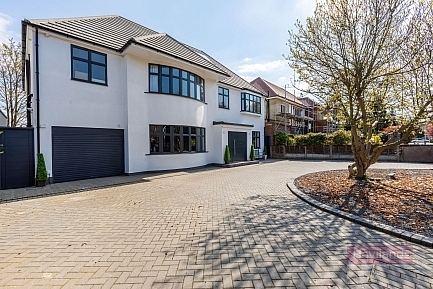 The house has a contemporary feel throughout and benefits from a substantial kitchen/diner/sunken lounge, leading to a stylish area for al fresco dining, which overlooks a south-facing garden. The ground floor also features a family room, cinema room, downstairs cloakroom and utility room. 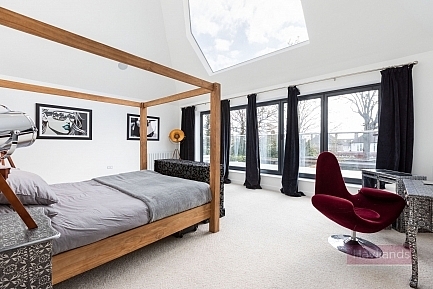 Upstairs leads to a grand master bedroom with doors opening to a Juliette balcony and stunning feature window. All bedrooms benefit from individually designed en-suites with bespoke tiles. It is apparent throughout that all the work carried out has been done to the highest spec. The location benefits from being within 5 minutes walk to Grovelands Park, Winchmore Hill Green with it’s Sunday farmers market, pubs and restaurants yet only 30 mins to Moorgate station. Expertise: Our small but perfectly formed team work closely together, often having purchasers in mind before arriving for a valuation. We genuinely care and take time to get to know our clients, understand their requirements and offer a bespoke service to suit their needs. Investment: We work with the latest agency software and subscribe to the top property online portals. The software we use enables us to reach large numbers of potential buyers on our extensive database at the press of a button. It is important to us that everyone we work with, be it vendors, buyers, landlords, tenants or contractors, actually enjoy dealing with us. Over the years, we’ve developed strong working relationships with local surveyors, mortgage advisors and solicitors and this enables us to monitor and oversee the progression of sales until their successful completion. We accompany all viewings, vet all potential buyers and advise you as to which buyer is in the strongest position to buy your property. Being helpful, professional and friendly is what we are known for and how we enjoy working. We recognise the importance of presenting your property in the best possible light. We offer Professional Photography, Energy Performance Certificates and Floor Plans. With an accurate description highlighting the property’s best features combined with our professional photographs, these elements provide potential vendors with a clear understanding of what your property has to offer. 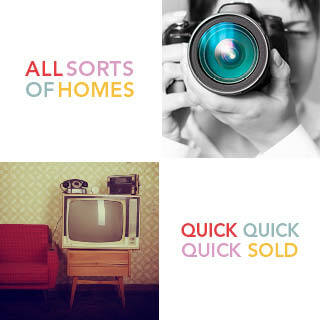 We do not only sell large homes, almost 80% of the properties we sell being flats, terraced and semi’s. Situated on The Green, we attract a large footfall of potential buyers – from young professionals looking to get on the property ladder to people downsizing to release equity, so flats and smaller houses are often in high demand. Enfield is one the greenest boroughs in London and that, along with many excellent schools and a vibrant community, it makes the borough very attractive to young families. This means mid-ranged, family homes are also highly sought after. We sell them all, we sell them fast and we sell them using the same renowned service, no matter what the value.